Are freezestats (low limit switches) provided with the Magic Aire Unit Ventilators? All Magic Aire unit ventilators with Hydronic Coils include an automatic reset, single-pole, double-throw low limit switch that changes state at 38°F and 42°F. This is mounted on the leaving side of the coil (heating coil for 4-pipe). The hydronic low limit is marked as LLT on the unit’s wiring diagram. All Magic Aire unit ventilators with DX coils include an automatic reset, single-pole, double-throw low limit switch that changes state at 28°F and 35°F. This is mounted on the leaving side of the coil. 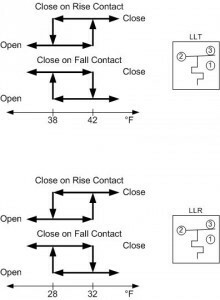 The DX low limit is marked as LLR on the unit’s wiring diagram. Both low limits are snap-acting SPDT devices, with terminal 2 as the common. Terminal 3 closes on temperature rise and Terminal 1 closes on temperature fall. Are leveling legs provided with the Magic Aire Unit Ventilators? The leveling legs accompany every MAUV and are used to compensate for slight floor irregularities. The leveling legs are found attached to each end of the unit kickplate and are not to be used to raise the entire unit over 1/4″. Sub bases are available in 2″ to 12″ heights to raise the unit. Are Magic Aire Unit Ventilators DDC Controls stand-alone or must they function as part of a building automation system (BAS) network? Units with factory DDC Controls can act as stand-alone or function as part of a building automation system (BAS) network that must be field provided. * When the IAQ option is ordered an input is made available on the DDC Controller for a field supplied CO2 sensor by removing the RAT sensor and using the wall thermostat as the room air sensor. Can order a Thermostat only to control my unit ventilator? No, Magic Aire utilizes ASHRAE cycle II which requires modulating the unit ventilator’s outside air/ return air damper. 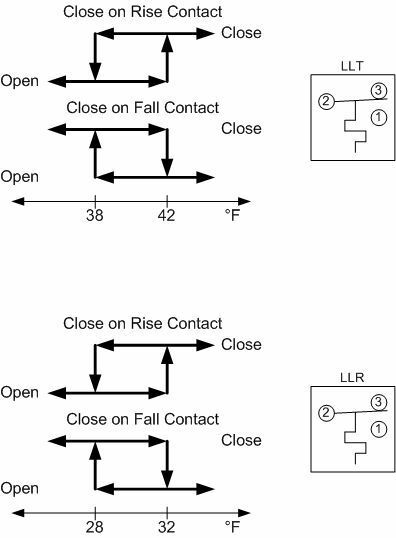 While some thermostats allow you to program the unit ventilator’s damper control through the economizer feature, they do not allow modulation but control damper to maximum open or closed position. Do Magic Aire Unit Ventilator DX coils come with a thermal expansion valve (TXV)? Yes. All unit ventilator DX coils come with a TXV. Do MagicAire unit ventilators meet the “Buy American Act”? United Electric Company is the manufacturer of Magic Aire brand unit ventilators. Our operations are wholly contained in Wichita Falls,Texas. The MAUV and MAUH models are 100% fabricated and assembled in the USA. Typical material content will be 95% under the NAFTA agreement and greater than 50% for USA content. Does the Magic Aire Unit Ventilator contain separate return air and outdoor air dampers? No. The MAUV/H has a one piece Outside Air/Return Air (OA/RA) damper. The OA/RA Damper is constructed of one piece heavy gauge extruded aluminum material that has been stiffened by use of multiple components to afford maximum rigidity, strength and corrosion resistance. The seats are a deep pile polyester material on all side edges; damper blades use dual PVC seals with memory and is insulated with closed cell foam insulation. Does the Magic Aire Unit Ventilator have a welded frame? No, the Magic Aire Unit Ventilator consists of a bolt-together modular frame. We replaced our welded-frame design with the heavy gauge galvanized steel framed modular design because it is much easier to service. The unit is composed of three main modules which are the blower, coil, and damper modules. Each of the modules can be removed easily without disassembling unit greatly reducing service time. Does the Magic Aire unit ventilator two pipe units have a changeover switch (aquastat)? The changeover (aquastat) switch is factory wired to the DDC controller as shown on the unit wiring diagram. During installation in the field, this switch must be clamped onto the pipe supplying water to the unit upstream of the valve. See the unit ventilator IOM for more details. For Magic Aire unit ventilators, how many stages of Electric Heat are there? Electric Heat stages are assigned according to the number of elements of electric heat. 1 Element = 1 Stage; 2 Elements = 2 Stage; 3 or more Elements = 3 stage. How are the Magic Aire Unit Ventilators protected from freezing? 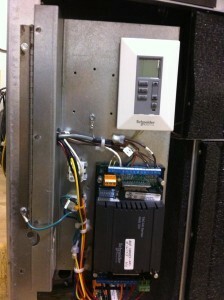 A low limit thermostat (freezestat) is factory installed on all Magic Aire Unit Ventilators with Hydronic and DX coils. For extra freeze protection, a face and bypass damper is recommended to protect from coil freeze-up. With a face and bypass damper there is a constant flow of hot water through the coil unlike a valve system. The units feature a one piece Outside Air / Return Air damper that is made of heavy gauge extruded aluminum material with airtight seals to prevent unwanted air from entering the unit. The damper is insulated with closed cell foam insulation. An optional cold weather damper section is also an option that has thicker insulation for maximum cold weather protection. With DDC Controls, if the low limit thermostat trips the outdoor air damper will be driven closed. How is hand connection determined with the Magic Aire unit ventilator? Hand connection is determined by facing the discharge of the Magic Aire unit ventilator. I do not see options for DDC Controls when selecting a UV in the software. Why? Verify that the Outdoor Air Selection is not a locking quadrant. I do not see options for EH when selecting a UV in the software. Why? Verify that the Coil Arrangement is not a preheat. In NM4, I can not select a DX coil when I have Electric Heat selected. Why? The first reason could be that face and bypass control was selected. Face and Bypass is not available with DX/Electric Heat configurations. Another reason could be the number of heating elements selected. 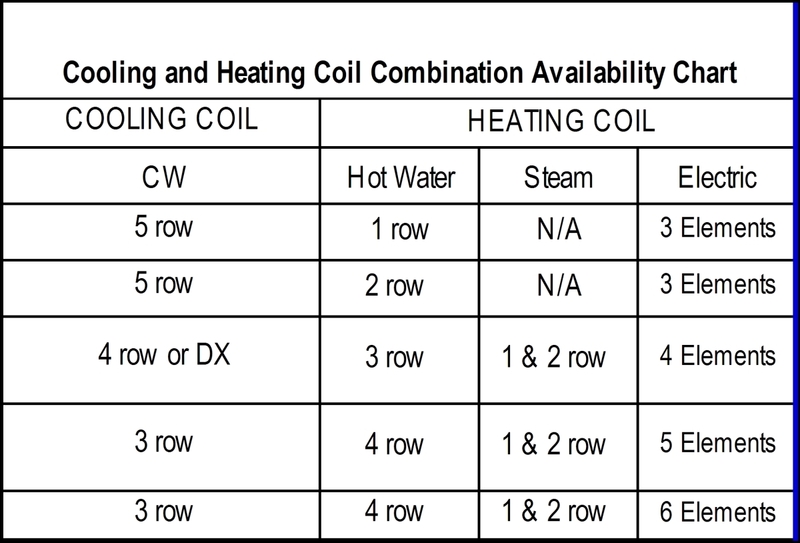 The maximum number of heating elements available is 4 elements when in combination with a DX coil. 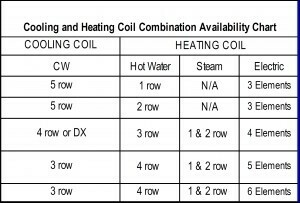 See coil combination chart below. What are the benfits of draw thru units versus blow thru? The draw thru configuration allows return air to bypass the coil and unconditioned outdoor air to pass through coil for better dehumidification. The leaving air stream is at a uniform temperature with an even distribution of air across the coil face. What are the coil combinations available for a UV? What are the coil combinations available for a UH? What does the DDC READY package consist of? 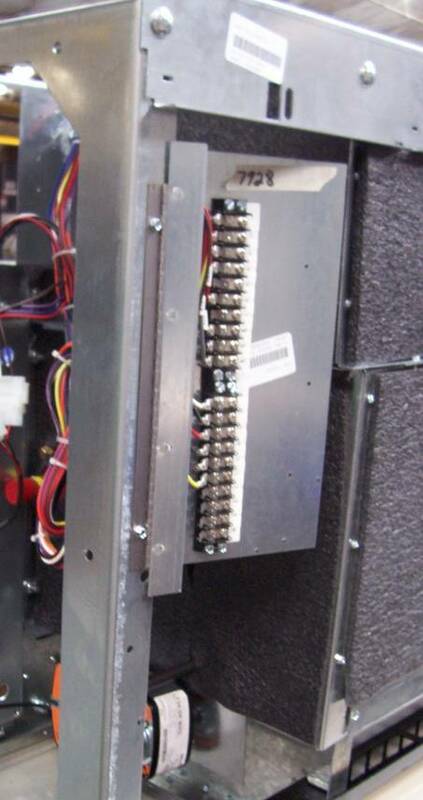 The DDC Ready Package consist of terminal blocks mounted on a hinged panel (shown below), a wiring harness (shown below),a 75VA control transformer, and a fan start/stop relay with a 3 speed fan switch (not included with variable speed motor option). The following are provided when applicable: a DX Relay and low limit; and/or a water low limit; and/or an outside air damper actuator (shown below); and/or a face and bypass damper actuator. What does the factory DDC Control Package consist of? The factory supplied and installed DDC Control Package consists of a DDC Controller with a selection of Lon or BACNet protocol which is mounted on a hinged panel(shown below). 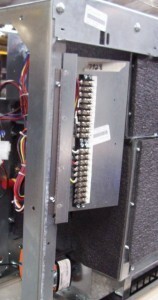 The package also includes a dual mount thermostat (shown below), a terminal block, temperature sensors, a wiring harness, a 75VA control transformer, and a current switch. The following components are included when applicable: a DX Relay, and/or a low limit, and/or an outside air damper actuator, and/or a face anc bypass damper actuator. What type of insulation is used on Magic Aire Unit Ventilators? Closed cell insulation is used on Magic Aire Unit Ventilators and the insulation is made in the USA and Greenguard certified. Each module, unit back, and pipe tunnel is externally insulated using 3/8″ closed cell insulation. Thicker insulation is available through a quote request. Closed cell insulation is applied externally to the Outside Air damper with 1/8″ standard and 3/8″ optional for cold weather applications.